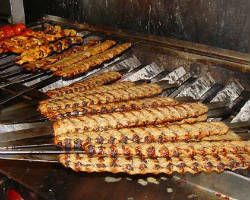 Any of the catering companies in San Jose will provide a nice meal for your big day. Catering with a Cause provides you with a delectable meal of your choosing while also acting as a profession training institution to help more people find careers in the catering and food industry. Give back on your wedding day by helping people better themselves while they prepare you and your party a mouthwatering meal. 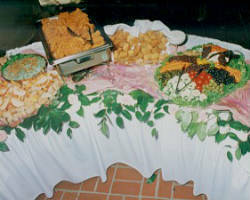 For any size party or event, this company can make your night beautiful, stress-free, and full of delicious food. The El Amigo Restaurant offers all of the authentic Mexican food and dishes any native of California could dream of. 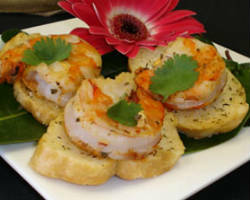 This restaurant has experience catering for a variety of events including weddings. Work with the team at the restaurant to build a menu of your favorite dishes and drinks to share with your family and friends after you’ve tied the knot. The El Amigo Restaurant also provides a small space for you to have an intimate reception, taking care of the food and location. With the slogan ‘Food so great, you’ll think we stole your mom,’ it is clear that this company is easy-going and will provide home cooking to rival the dishes mom makes. Mr. C’s simply wants to provide good service and great food as cheaply as possible. With such a straightforward motto, you know exactly what you’re getting with this company. If you would like Italian catering, BBQ, and home cooking, this company can provide you with an amazing meal to end the best day of your life. If you’re looking to bundle parts of your wedding together, then Delectables Inc. is the answer. In addition to catering your wedding, they will also help you plan the entire thing. What this company provides is outstanding. There are countless buffet options to meet the dietary needs and style of any couple. Perhaps you would like a sit-sown meal with many courses served to your guests. There are options for this as well as a list of hors d’oeurves to choose from to help welcome your guests. The choices are endless so you’ll be spoiled for choice when deciding on the best menu for your big day. 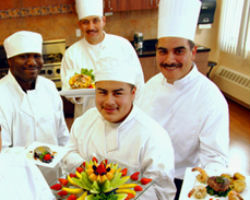 When you choose The Party Helpers to cater your wedding or corporate event you are choosing the best catering in San Jose, CA. These professionals put their years of experience to use in helping you choose the perfect menu for your special day. Whether you want seafood like crawfish or classic steaks, they will even help you design the dishes you’ve dreamed of having as part of your wedding dinner. With different menus to choose from, you can treat you and your guests to a delicious sit down meal before a night of celebrating. 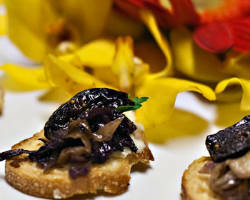 You can’t go wrong choosing one of the top wedding caterers in the business. Many catering companies present a beautiful menu and hide the price while you fall in love with their food. Rose Market Catering shows you the menu options and the price per person up front so you can be sure you’re feeding your guests fresh food that won’t break the bank. Rose Market offers many wedding options for any budget, which is more than many of the other catering services in San Jose. End the most important day of your life by sharing a tasty meal with your loved ones. If supporting small businesses is important in your daily life then why shouldn’t it be on your wedding day? 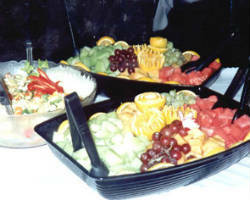 With over 25 years of experience, this local catering company offers reasonable prices for their appetizing dishes. With a focus mainly on buffet style serving, this affordable service can also help you customize your wedding day meal. 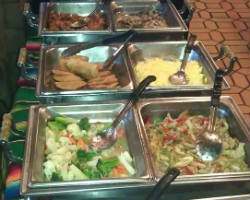 They also have a wide variety of menus to choose from including Mexican, Italian, and Asian-style buffets. You will be spoiled for choice with Golden Harvest Catering.